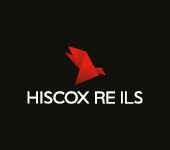 Hiscox Re, the reinsurance arm of specialist global re/insurance group Hiscox, has underwritten 37% more in gross premiums for the insurance-linked securities (ILS) fund and reinsurance linked investment strategies unit Kiskadee Investment Managers in the first-quarter. As Kiskadee Investment Managers has increased in scale, growing its ILS assets under management to around $850m, the ILS manager has been able to leverage Hiscox’s underwriting reach and expertise to deploy capital. In the first-quarter of 2016 Hiscox Re underwrote $67.7m of gross written premiums for Kiskadee Investment Managers, which is an increase of around 37% on the $49.3m written in Q1 of 2015. However, access to third-party reinsurance capital through Kiskadee is helping the firm to navigate the challenging market environment, with the efficient source of capital markets backed capacity able to be deployed alongside its own, effectively helping to lower Hiscox’s cost of underwriting capital. Hiscox Re has also successfully found that Kiskadee’s underwriting capital can be deployed into areas of the business that help to offset some of the reductions in premiums in areas where rate remain under pressure. In areas of the reinsurance market, such as U.S. property catastrophe risks, reductions in premiums written by Hiscox Re for its own balance-sheet were partially offset by premiums written on behalf of Kiskadee, including retrocessional business the firm explained. The company said that its retail business does not face major rate decreases, and it is growing this segment. But the London re/insurance business faces the greatest rate pressure in aviation, marine and energy, terrorism and U.S. large property lines. Hiscox Re meanwhile saw single digit rate reductions at the January renewals, but while pressure continues on rates, particularly in property reinsurance, Hiscox said that the pressure is slowing and the firm is also finding profitable opportunity in non-catastrophe exposed lines, like casualty and specialty reinsurance. In terms of losses suffered, some of which may have an attritional impact on Kiskadee’s portfolio although likely minimal currently, Hiscox reports that its UK unit had minimal exposure to windstorm Katie, its London Market business experienced fewer claims Q1 with small losses in personal accident, limited exposure to the Brussels terrorist attack, and in the marine account. Kiskadee had increased its insurance-linked assets to an impressive $850m at the start of this year, with approximately $750m of the ILS assets almost evenly split across the two flagship Kiskadee funds, the Kiskadee Diversified Fund and the higher risk/return Kiskadee Select Fund and the remaining roughly $100m allocated to Kiskadee’s new special purpose reinsurance vehicle, Cardinal Re, which it launched in September 2015. Hiscox expects that growth in Kiskadee’s ILS and reinsurance linked assets will continue through the year and the firm maintains its target to reach assets under management of $1 billion in 2016. – Hiscox expects $1bn+ of ILS assets for Kiskadee in 2016. – Hiscox’s Kiskadee adds capital, ILS assets more than double to $850m. – Kiskadee continues to help Hiscox offset reinsurance market pressure.